Why You Should Be Tripling Your Weekly Dose Of Extra Virgin Olive Oil and Salmon. You may already know that Extra Virgin Olive Oil is a staple in the Mediterranean diet, but, did you also know that cultures that consume diets rich in this golden goodness also display lower incidence of Alzheimer’s disease? More and more studies are finding that the plant compound responsible for this is called Oleocanthal; and it happens to be a powerful anti-inflammatory. It’s so powerful in fact, that it helps the brain clear itself of the amyloid plaque found in toxic levels in the brain of Alzheimer’s sufferers by increasing the activity of enzymes that degrade this plaque. Got your attention yet? Perfect! 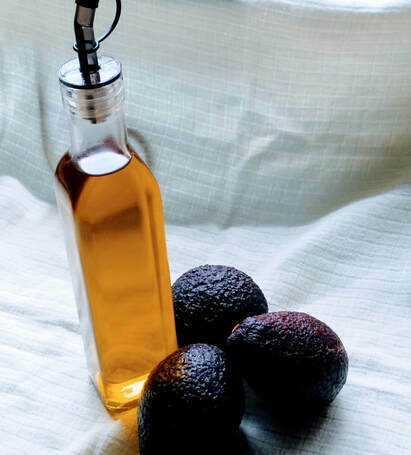 Let’s delve a little deeper into fats and oils. If we look into the brain we know that certain foods feed it’s capacity to function clearly and efficiently in conjunction to the plethora of variables and changes happening in each second, hour and day. We also know, just like the rest of the body, that certain foods and interferences cause it’s functioning to reduce. The more challenges; the greater difficulty it has doing its job. On one hand, we have Omega 3s- Supplier of brain proteins, champion fighter of inflammation and facilitator of neuronal and neurotransmitter communication and fluidity. (Think fish, nuts and Avocados) On the other hand; Omega 6s- Competitor for prime seats in cell membranes of the brain, pro- inflammation lobbyist and very susceptible to oxidisation. Now, when eaten in moderation, Omega 6’s are good for us, the problem is while our ancestors had a ratio of 1:1, our current diets now resemble whopping ratio of 1:25! ​This means that every gram of Omega-3 we consume, is being washed down at least 25 grams of Omega-6. This kicks the ageing process into high gear, accelerating the degenerative processes which underlie MANY of the chronic illnesses burdening our society today including but not limited to Alzeimer’s, Parkinson’s, Vascular Dementia and MS. Putting aside Chronic Illness and brain degeneration, on a day to day function alone, healthy fats (eggs, avocado, fatty fish and and extra virgin olive oil) aid the absorption of critical fat soluble vitamins such as Vit A, E, D, K as well as important carotenoids such as Beta-Carotene. Just the function of acting as a nutrient ferry makes it a non negotiable to add to our diets. – By supplementing with a daily dose of good quality fish oil, a study from Ohio State University found a 20% reduction in student anxiety. – Researches have found that children with lower Omega 6’s in their diets perform significantly better with regards executive function. Another study by Berlin’s Charité Hospital found a 26% increase in the executive function of subjects, increased grey matter volume and “superior white matter integrity”. Just with a daily Omega 3 supplement. – The last study I’ll refer to, (just in case you had any doubts) takes place in Melbourne University. Again, just a daily dose of fish oil was given to people in their teens and early twenties with a history of psychotic symptoms. Over three months, they noted a DECREASE of psychotic episodes, but even more impressive was that when doctors assessed the patients seven years later– the found only 10% converted to full on psychotic disorders. As opposed to the 40% placebo group. A four fold risk reduction! Layered onto this, they were higher functioning and needed less medication to manage their symptoms. So, what to do? Decrease the very volatile polyunsaturated fats- found in cheap oils such as canola, vegetable oil, spreads, fish and chip shops and inside packaged foods and cereals. Increase monounsaturated fats such as olive oil and Avocados (tip on choosing the right one below). Choosing the right Extra Virgin Olive oil. Now before you go out and buy a bulk container EVOO, here are a few tips to keep in mind when selecting your oil. According to Nicholas Coleman- an Oleologist who specialises in the cultivation of Extra Virgin Olive Oils; A good quality oil should taste grassy, never greasy, regardless of it’s colour. Because Oleocanthal is responsible for the peppery taste in EVOO, it can be used as a measure of how much is actually present in the oil, so the spicier and more peppery the oil the better it is. If it makes you cough, you’ve found a winner and your brain will thank you for it. Lastly, store the oil in a bottle shielding it from sunlight, in a cool, dry place and lather it in as many food sources as you can! Is a Holistic Kinesiologist and Mind Body Medicine Therapist located on the Gold Coast, Australia. Government changes to health fund rebates have wiped a large list of health modalities, including Kinesiology. As of April 2019, although accredited, health fund rebates will no longer be available. Is Your Perfectionism Eating Away At Your Happiness? How to Use Color Clarity To Get Un-Stuck.